JJuly 5 2018: As excitement builds towards the sixth annual Lilizela Tourism Awards scheduled to take place in October, South African Tourism has confirmed the 2018 judging panel. The top-caliber 28-member panel covers the vast landscape of the local travel and tourism industry and will have a tough task selecting the best of the best in the local travel industry across a range of categories. Entries for tourism businesses to enter the Lilizela Tourism awards closed earlier this month. “The Lilizela Tourism Awards are our way of recognising different business whether big or small for their dedication to our tourism industry. 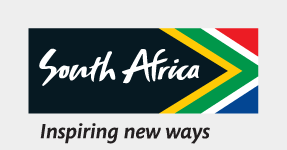 They work hard and continue to set the bar high and contribute in making South Africa such a highly regarded must-visit destination, for local and international tourists alike,” commented Darryl Erasmus, Chief Quality Assurance Officer at South African Tourism. With 80% of the scores coming from consumers, the experienced judges will use these together with their extensive knowledge of various facets of the industry to evaluate accommodation establishments, tourist guides and tour operators, as well as facilities catering for meetings, exhibitions and special events. Exceptional visitor experiences in an array of categories will also be tested and toasted. Particular attention will be paid to emerging black-owned tourism start-ups and small enterprises, as well as to establishments that have taken steps to improve their universal accessibility status (by welcoming and accommodating guests with special needs such as physical disabilities). As part of the Lilizela Awards, the Emerging Tourism Entrepreneur of the Year Award (ETEYA) - was launched in 2001 - is designed primarily to encourage and sustain the development of Small, Micro and Medium Enterprises (SMME’s) within the tourism industry. This award is given to black entrepreneurs, as defined in the Broad-Based Black Economic Empowerment Act, who operate small, micro and medium tourism or hospitality-related businesses. They must have been in operation for more than a year and less than 10 years, employ no more than 50 people and have a turnover of not more than R10 million a year. The judges’ assessments will be augmented by data from the Tourism Grading Council of South Africa’s Tourism Analytics Programme, a platform that consolidates user reviews for establishments that have an online presence and also includes reviews gathered from TripAdvisor. The adjudication process and results will be audited by Nexia SAB & T, a Level 1 Broad-Based Black Economic Empowerment Contributor accounting and auditing consulting firm. Following the nine provincial Lilizela awards ceremonies around the country during Tourism Month in September, the national winners will be announced at a gala event on the 27th October at the Sandton Convention Centre, in Johannesburg. Mr Khwezi kaMPUMLWANA -currently responsible for South Africa’s World Heritage Listing Programme of Liberation Sites under the leadership of the National Heritage Council. Like the Lilizela Tourism Awards Facebook page or follow @Lilizela_Awards on Twitter for regular updates.